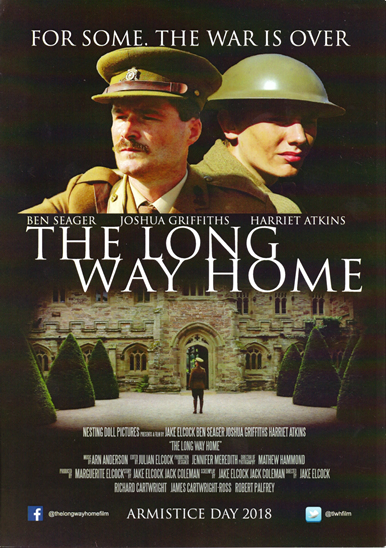 In August 2016 three members of The Birmingham Pals took part in the production of a "Proof of Concept" film entitled "The Long Way Home". Although this filming was independent of The Birmingham Pals (it was done through Rich in History), the Association has been invited to be involved in the production of the feature length film. In August 2017 two group members spent two weeks in Southampton and Portsmouth taking part in the filming, one taking an acting role and the other participating as an advisor. More filming is scheduled for the summer of 2018, with the release of the film scheduled for 11 November 2018 - the 100th anniversary of The Armistice.